Tim Ellsworth is the author of the recently released Pujols: More than the Game. After only ten seasons, the St. Louis Cardinals’ Albert Pujols is already one of the greatest players to have ever laced up a pair of spikes. But when adulation and glory come his way, Pujols is quick to credit another—to point people to his hero. “At the end of the day,” he says, “as long as I glorify Him, and those 45,000 people know who I represent … that’s what it’s about. It’s about representing God.” In Pujols: More Than the Game, authors Tim Ellsworth and Scott Lamb will satisfy fans who like their baseball slathered in stats and stories . . . while at the same time, shedding light on the faith that makes it all possible. 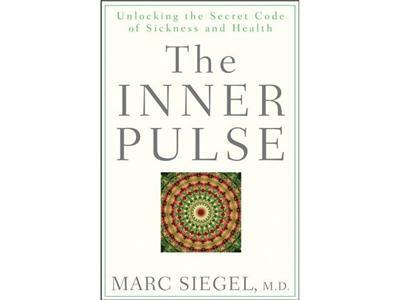 Dr. Marc Siegel's new book The Inner Pulse has already received praise from some of the most well known figures in America today. From Geraldo Rivera to Governor Mike Huckabee, Dr. Siegel's new book has very quickly made an impact.